From the Rooted in Place article in the January 2017 issue. Cook quinoa according to package directions; set aside. Mix ground buffalo with mushrooms, salt, and eggs. Boil water in a large saucepan. Form buffalo mixture into meatballs and place in the boiling water. Cover pan, reduce heat, and simmer until meatballs are done (about 30 minutes). 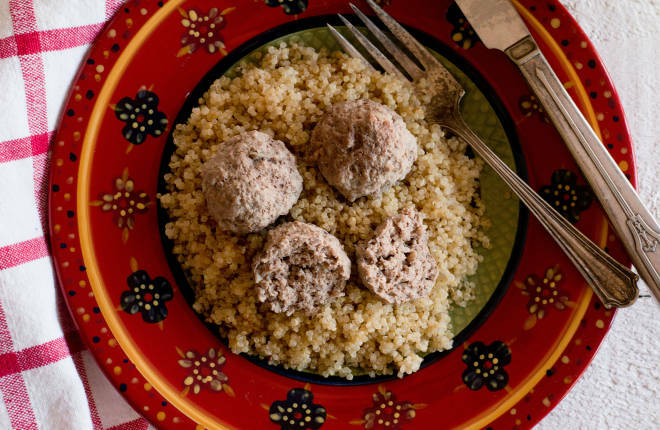 Serve over mounds of quinoa.